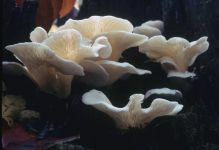 It has spoon- to conch-shaped caps that are translucent-striate when fresh and develop a wavy margin when expanded. 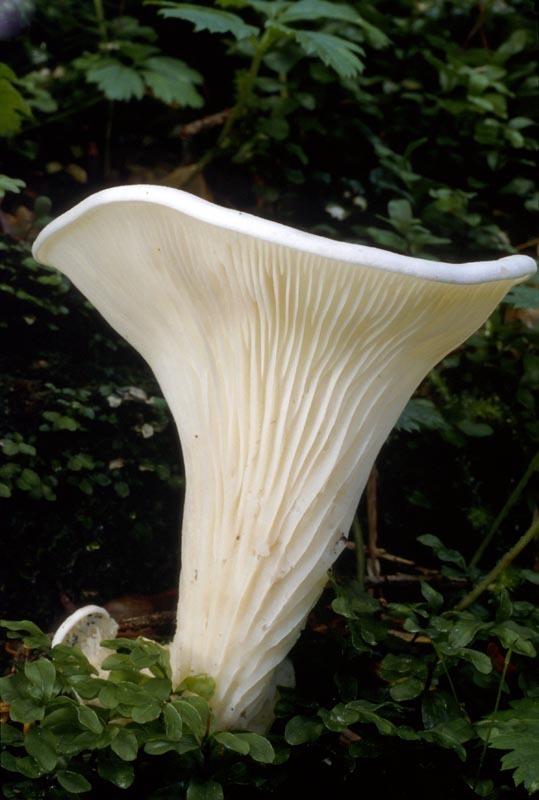 It is white to ivory, has no stipe, thin, rather tough, elastic flesh, and crowded narrow gills. In comparison, oyster mushrooms are fleshier and darker colored and the thin flesh makes P. porrigens less desirable than oysters as an edible. In addition, it recently was responsible for the deaths of several elderly Japanese, so caution is in order. 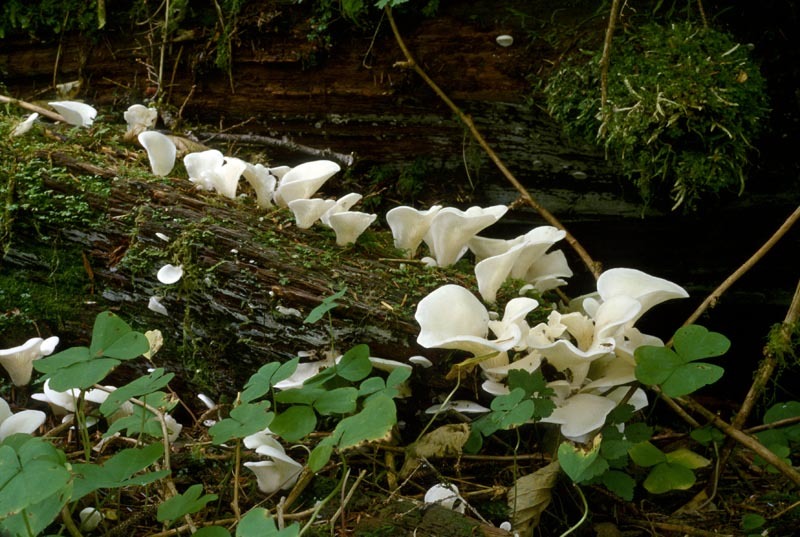 PNW Herbaria: Specimen records of Pleurocybella porrigens in the Consortium of Pacific Northwest Herbaria database.